Description: The flower heads are at the tips of the branched stems. 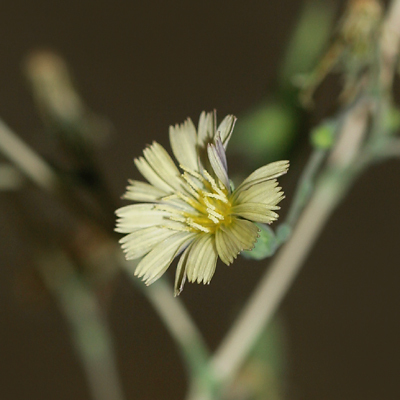 The individual flower heads are 1/2 inch (13 mm) wide and have no disk flowers, only square-tipped, pleated, toothed rays. 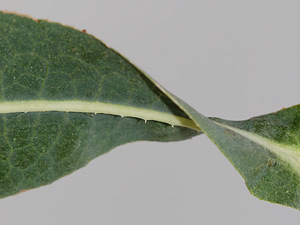 The leaves clasp the stems, decrease in size up the stems, are toothed to coarsely lobed, and have distinctive spines along the lower side of the whitish midrib. 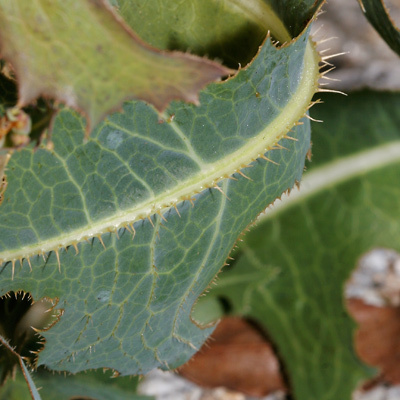 There are also spines along the edges of the larger leaves. 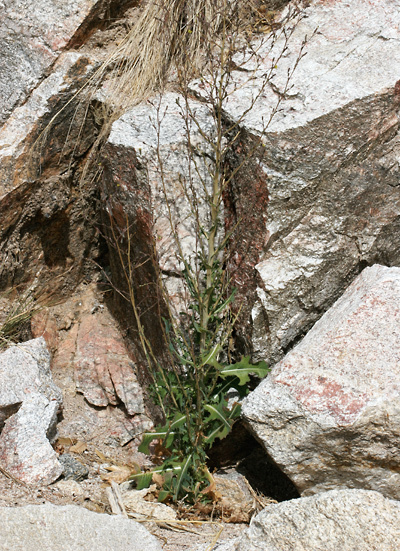 The stems are upright, branched, and spiny. Broken leaves and stems will ooze milky white sap.